Herman W. Hellman was born in Rackendorf, Germany, in 1843. He left Germany to avoid the draft. Arriving in Los Angeles in 1859, at the age of 16, Herman W. Hellman first drove a mail stage from the port at Wilmington to Los Angeles. In 1861, he clerked for his uncle, Samuel Hellman, in his stationary, book, dry goods, and cigar store in Los Angeles and shortly became a partner. Herman left the partnership and opened his own store in a commercial building on the Downey Block. This, too, was short-lived, as he joined a partnership to establish Hellman, Haas & Co., Wholesale Grocers, and began selling merchandise in Southern California, Arizona, New Mexico, and even parts of Texas. By the mid-1880’s Hellman, Haas & Co. was recognized as the largest wholesaler of its kind in the Southwest. Herman W. Hellman became one of the wealthiest businessmen in Los Angeles. 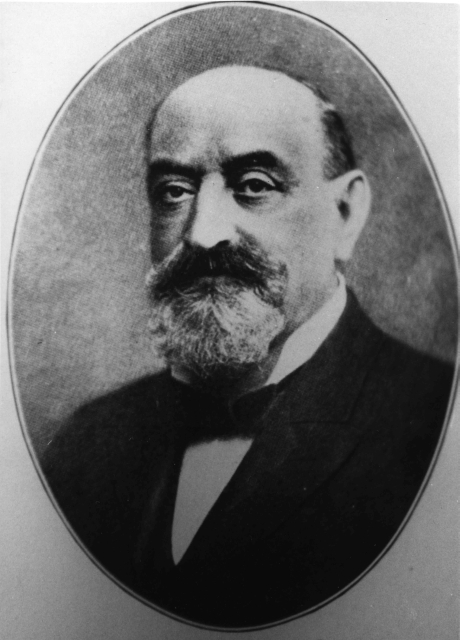 In 1890, Herman’s older brother, Isaias W. Hellman, took over control of California’s largest bank, The Nevada-California Bank. This necessitated Isaias‘ move to San Francisco. His Los Angeles bank, The Farmers & Merchants Bank, needed a leader, so Isaias asked his brother to leave the wholesale food business and take over as its Vice-President and General Manager. Upon leaving Hellman, Haas & Co., the grocery company became Baruch, Hass & Co. – and continued to grow. As time went on Isaias was not happy with his brother’s abilities. Isaias was a strict, conservative banker. He did not believe in lending money to persons of questionable ability. Herman was much more liberal with his loans, which Isaias believed pushed the risk limit of the bank too far. For years, Isaias would criticize Herman in letters and telegrams. In 1894, Herman made a trip to Germany to visit family and for the baths, as his health was weakening. Isaias appointed his own son, Marco Hellman, to go to Los Angeles to be the bank’s temporary president. When Herman returned, Isaias did not recall Marco to San Francisco, thus leaving him in a higher position than his own brother. Tension remained during the following years. 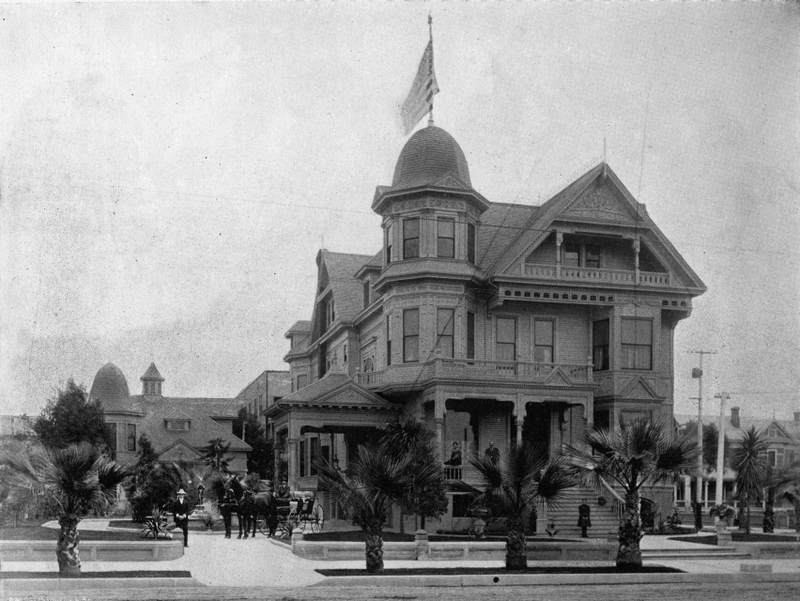 While visiting Los Angeles in 1903, Isaias and Herman had a major argument and Herman resigned. Herman Hellman then became President of the Merchants National Bank in Los Angeles. Many of his customers transferred their accounts from Farmers & Mechanics Bank to Merchants National Bank. Herman Hellman was heavily invested in Los Angeles area real estate. 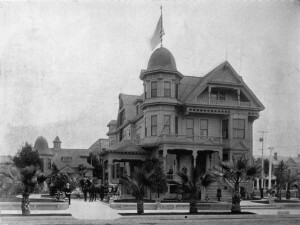 Besides his large home on South Hill Street, he owned a twenty -acre home in Alhambra. 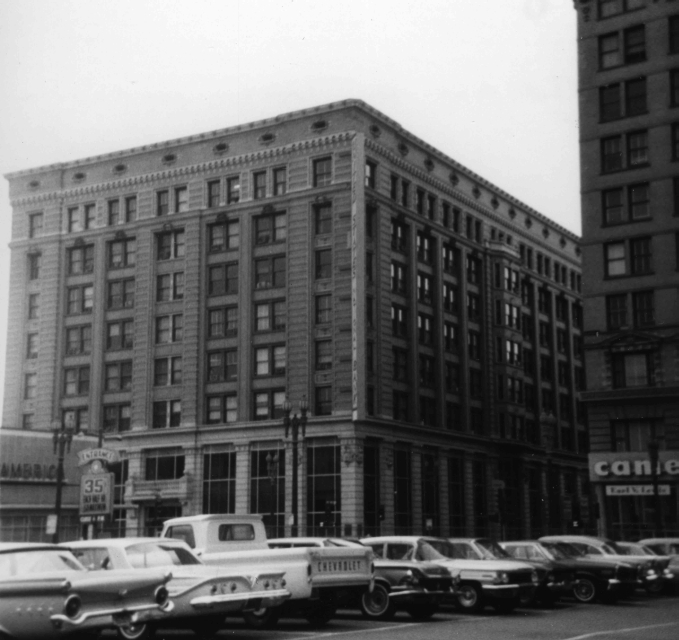 In 1903, he built an 8-story office building, which still stands today, called the Herman W. Hellman Building. Herman W. Hellman Building, 4th & Spring Streets. Still stands today. Herman W. Hellman was a Founder of the Los Angeles Chamber of Commerce. He was also President of Congregation B’nai B’rith (now Wilshire Boulevard Temple) for a number of years. In 1871, Herman W. Hellman returned to Germany and rekindled a relationship with his cousin, Ida Heimann. He returned to Germany in 1874 and married Ida, bringing her back to Los Angeles. Their children were Marco, Fred, Irving and Amy. In 1906, Herman’s diabetes took over and he slipped into a coma. The family sent for Isaias, hoping that amends could be made between the two brothers. Isaias Hellman rushed down from San Francisco on a fifteen-hour stagecoach, but arrived too late. Herman had passed away a few hours before Isaias arrived. HermanW. Hellman is buried at the Home of Peace Cemetery in East Los Angeles. Norton B. Stern, “Herman W. Hellman Family,” Western States Jewish History 41/3. Norton B. Stern, “Herman W. Hellman,” Western States Jewish History 41/3. Frances Dinkelspiel, Towers of Gold: How One Jewish Immigrant Named Isaias Hellman Created California (New York: St. Martins Press, 2008).